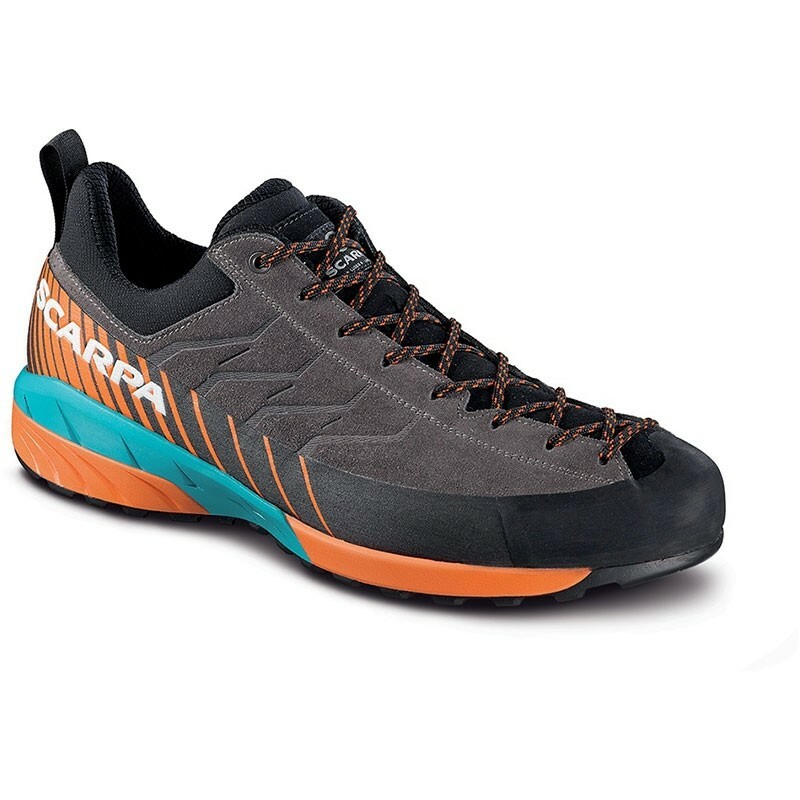 The Mescalito is an awesome and striking looking lightweight approach shoe from Scarpa, designed for technical approaches, scrambling, fast hiking and via ferrata. Differential thicknesses of high and low density EVA provide supreme comfort, and Vibram LiteBase Technology keeps the weight right down. The Vibram Megagrip compound used in the sole is seriously sticky too.